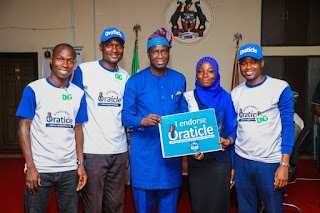 The deputy governor of Osun state, Mr Benedict Olugboyega Alabi has declared his unflinching support for ORATICLE, a public speaking and idea contest aimed at refocusing the minds of young people towards creating social impact through public speaking. He made the declaration of support when the Oraticle Team paid him a working visit at his office in Osogbo. He further stated that Osun government under the leadership of Governor Isiaka Gboyega Oyetola will continue to support initiatives aimed at bringing succour to Osun youths and the general populace. Mr Alabi also commended the Team for the great initiative while calling on other youths to look at means of helping in the growth and development of Osun State. Earlier in his statement, Mr Semiu Adabanija, the Chief Responsibility Officer of Sead Africa- organizers of ORATICLE Competion said the competition which began in 2017 is created to help young people find their voice through public speaking and using it to create solutions to challenges within the society. 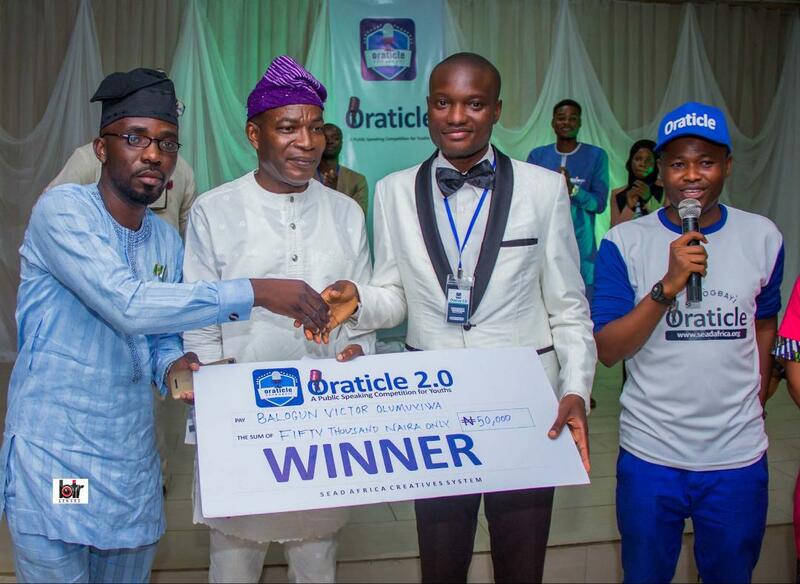 He said the winner of the second edition, Mr Balogun Victor Olumuyiwa will, through his winning project, start a training in rice production for 10 youths from Egbedore Local Government Area who will in turn replicate the model by training 6,000 Osun youths in the next 5 years. On the visitation team are Mr Lanre Abidoye-ORATICLE Lead Strategist; Mr Pius Salako- Program Director; Toyyibah Abdullah- ORATICLE Secretary and winner of Oraticle 2- Mr Balogun Victor Olumuyiwa. 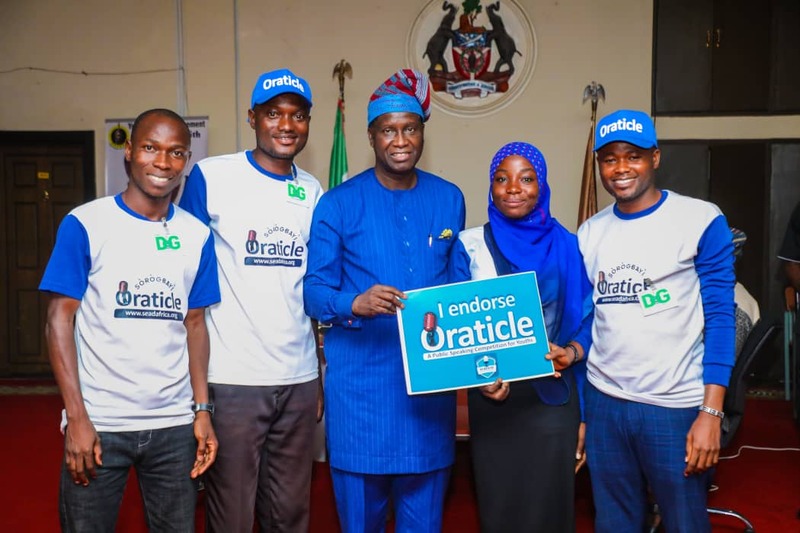 In a similar development, Winners have emerged in the second edition of Oraticle (Sorogbayi), a public speaking and idea contest organized by Sead Africa to inculcate of 'can do' spirit in youths. Speaking after the event, Mr Semiu Adabanija, the Chief Responsibility Officer of SEAD AFRICA, organizer of the competition, said the tedious but interesting process which began in November 2018, had 10 best Semi- finalists selected from a pool of applications received for the competition. He also said the competition which is conducted in English and Yoruba languages seeks to serve as a change of mindset for youths to become real solution providers to societal issues instead of complaining without results. 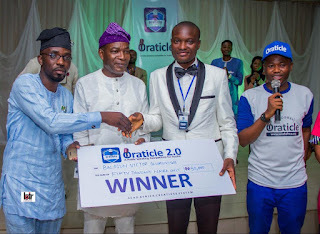 After making presentations in English and Yoruba Languages in the Semifinals and final rounds, BALOGUN VICTOR OLUMUYIWA emerged first after scoring 87 per cent; ISOLA TAIWO came second with 75 percent while OLUDAYO OLUWATOSIN GABRIEL emerged third with 74 per cent. 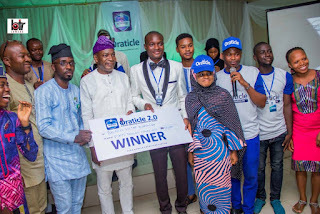 Other finalists, AKEWUSOLA HABEEB BABATUNDE and ADENIYI RAHMOTALLAHI came fourth and fifth positions after scoring 70 and 64 per cent respectively. 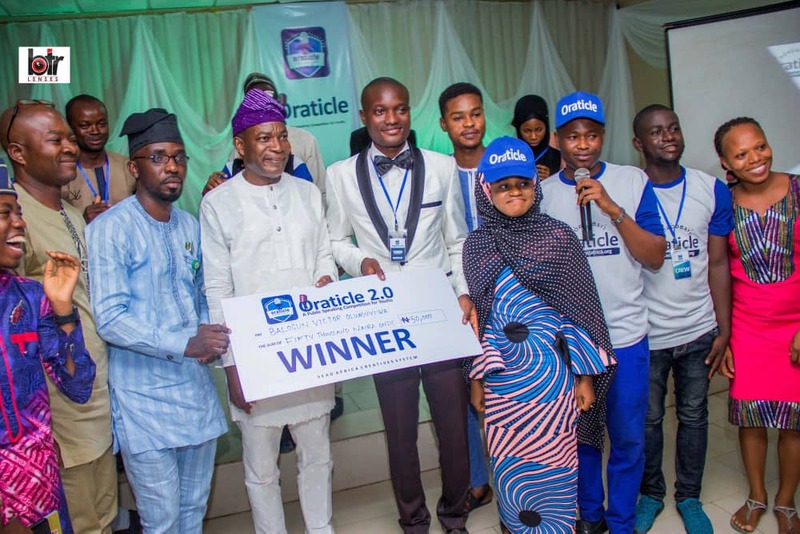 Olumuyiwa who emerged as Oraticle 2.0 champion presented a project seeking to train other youths in the Rice Value Chain Processes as a panacea to unemployment in Egbedore Local Government Area and by extension, Osun State. In his lecture, the President of ECOWAS Youth Council- Amb. Seun Ologun William represented by his SSA on Diaspora and Conflict Resolution, Amb Tosin Adebuji, urged youths to be creative and find innovative ways of addressing the challenges of Africa. He also commended the efforts of SEAD AFRICA and the Oraticle team in putting the programme together. Among the dignitaries at the grand finale are: Dr Emmamuel Ojowuro- State Manager Bank of Industry; Mr Smollete Shittu Alamu- Veteran Broadcaster, Mr Richard Obire- CEO, Aruba Foods; Mr Daud Oladele, CEO, IBBDS Consulting; Comrade Charles Adeyemi- Head of Strategic Communication and Youth Engagement, Osun State; Hon. Funsho Babarinde, Mrs Yomi Olasinde (State Director of National Orientation Agency) represented by Mr Ibikunle; Mr Yinka Ibrahim-Chairman Network of NGOs in Osun; Mr Ademola Adebisi- Executive Director VARCE.